Pathfinder System’s Noise Control Enclosures are highly effective and efficient means of noise control for mechanical and industrial equipment. 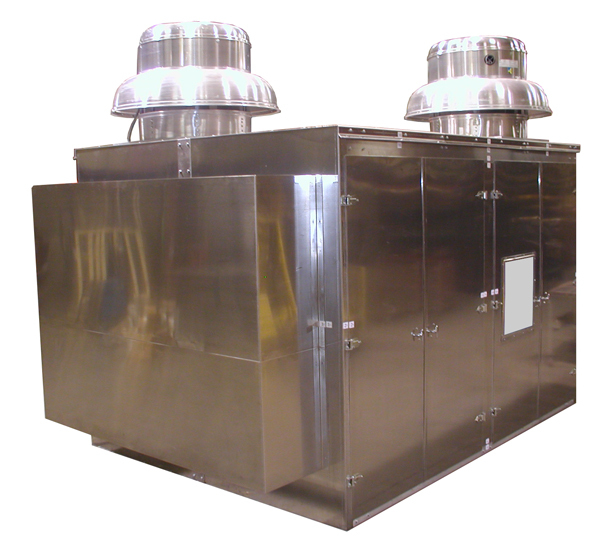 These enclosures are engineered for superior noise control while still allowing for easy access to the equipment or machinery. Many businesses are now appreciating the numerous benefits of these industrial enclosures and are now adopting this mode of noise control. First and foremost, the claims that companies face on an annual basis for hearing damage, as well as other safety concerns, make opting for a noise reduction program by adopting industrial noise enclosures not only a safe idea, but also one that makes a lot of financial sense. Industrial manufacturing companies are being regulated by government agencies such as OSHA. Things have now changed and currently, insurance companies are making sure that hearing damage claims are kept to a minimum and may soon be mandating that the companies they insure put in place noise management measures such as installation of sound enclosures such as those made by Pathfinder Systems, Inc.
One of the major advantages of industrial sound enclosures is the flexibility in terms of construction and the durability of the materials used to build them. Because of this, there is an enclosure for almost any industrial set up or one that can be customized to your specific industry’s needs. The general construction of these enclosures will depend upon the performance and design criterion that’s been specified for any particular project. Sound Enclosures provide a cost effective solution to reduce noise generated from industrial and mechanical equipment such as blower packages, compressors and fans. At Pathfinder Systems, Inc., just about anything can be enclosed. It is also worth mentioning that depending on what an organization wants, most manufacturers can provide custom made enclosures which fit the structural and ventilation requirements of any user. For access, a variety of access options are available such as removable panels, maintenance doors, double doors, Bi-fold doors, telescoping panels, sliding doors etc. In terms of ventilation, the enclosure can have acoustic louvers and hoods, silencers, forced or passive silenced ventilation, engineered air exchanges for heat loss, high sound blocking rates, high sound absorption rates etc. Lastly, the ingenuity of the engineers at Pathfinder Systems Inc. who develop these enclosures have ensured that these structures can be used in a wide variety of applications spanning the numerous industrial set ups.This wide acceptance has seen better and more advanced noise enclosures being introduced into this market which has resulted in their prices coming down quite significantly. The initial small investment made in noise and sound enclosures will prove to be hugely beneficial to your company and employees over the lifetime of your company and Pathfinder Systems Inc. is your source for all types of silencers: chambered, absorptive, engine, and inlet filter silencers. Don’t forget the elements!